Another Drugstore waterproof jumbo pencil line has come out. 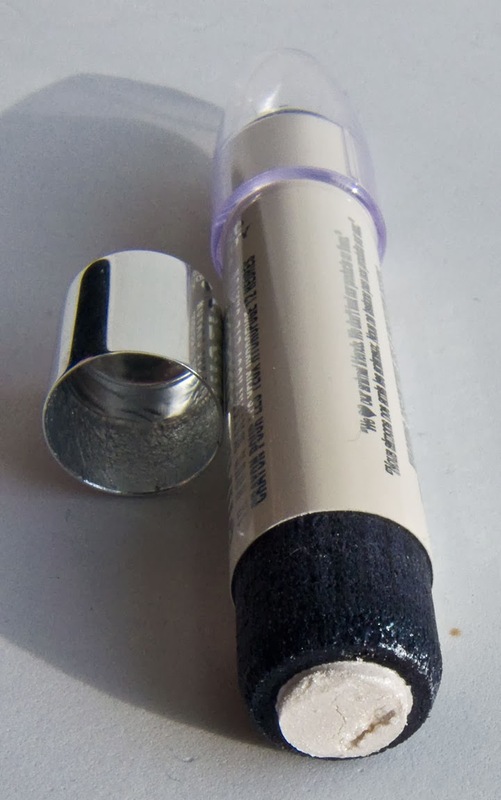 This white shade in particular I was finding was constantly selling out and still is as white and waterproof are hard to fine here in Canada. Retails for $5US or $7.99CAN at Walmart. 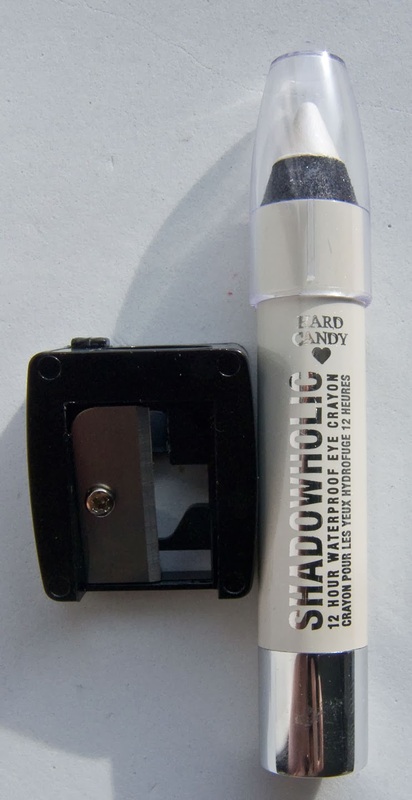 Hard Candy Shadowholic 12-Hour Waterproof Eye Crayon in Mirror Mirror, cap fell off. Product: is a large cream pencil that does dry down on it's own. It was a really smooth application one the skin/eyes as well. 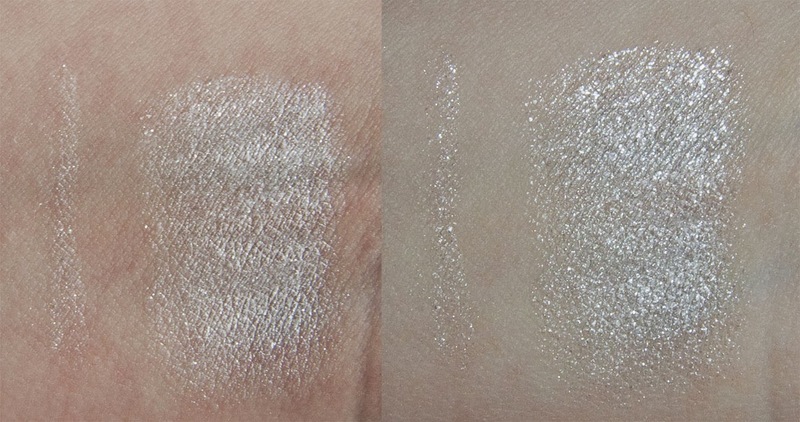 this shade is sheer as is seem it's made up complete of shimmer particles rather then having a colour base. Colour: is a sheer frosty white. Wear: The one shade I bought lasted the whole day (16 hours) on the eyes but did find the large shimmer particles would flake off. 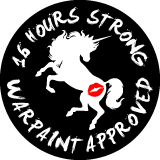 Your either going to love or hate this shade if you like shimmer or sheerness. I think this look best over a shade or in the inner corner of the eye rather then all over the lid on it's own because it's that frosty! Visuals created by BEE Design 2016. Powered by Blogger.